123Proto is Rapid Prototyping, Jewelry Model, Design, Jewelry design, 3d design, jewelry, rapid prototyping machine, precious metal casting, gold casting, 3d CAD, 3d cad model, 3d modeling and CAD. 123Proto is a one-stop service bureau that provides the jewelry industry with CAD/CAM services such as 3d jewelry design, 3d printing, rapid prototyping and milling of hard copy models, laser-technology, precious metal casting, polishing and finishing services. We have the right solution for a jewellery designer with stringent industry requirements and we complete your project in time with efficiency and reliability. Our High Speed Prototyping Machines along with our milling machinery and conventional equipment complete our one-stop shop service. We offer reduced time and cost for designers and their clients with state-of-the-art technology. 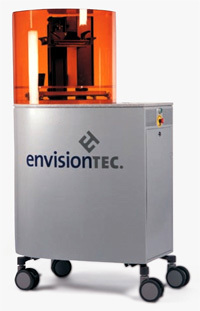 Our machines build wax models from computer files using thermoplastics that are perfect components for investment casting. See some of the machinery here. Stereolithography and these other hard model technologies are the future of the jewelry industry. Leading jewelers effectively use CAM "service bureaus" that specialize in prototype output for their jewelry model. Our technicians have been in the jewelry business since 1983, operating in various branches of the industry. We are some of the finest jewelry manufacturers and jewelers in the industry. We even do precious metals casting. Our rapid prototyping department utilizes latest generation rapid prototyping machines and milling equipment by Envisiontec, Solidscape and Roland transalting jewelry design into hard copy models. 123proto.com provider of 3d design, 3d model, 3d printing, designer, jewellery, jewelry, jewelry design, jewelry model, prototyping.